Crowne Plaza Abu Dhabi in the entertainment hub of Yas Island has spacious rooms, multiple restaurants/bars and outdoor pool for a great holiday experience.If shopping and entertainment are your primary holidaying fantasies, Crowne Plaza Abu Dhabi in the Yas Island of Dubai is a recommended hotel to spend a holiday. 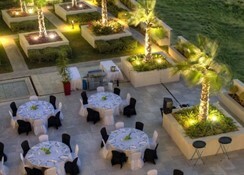 The hotel has spacious rooms, multiple restaurants and bars and outdoor pool that add to the holidaying experience in Dubai. 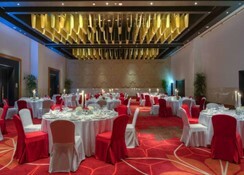 Crowne Plaza Abu Dhabi has a total of 428 guest rooms across 8 floors and all the rooms feature balconies and private bathroom complete with hair dryer, bathrobes, free toiletries and bidet. General amenities like plasma TV with digital channels, phone, tea/coffee making facilities and minibar are available in rooms. 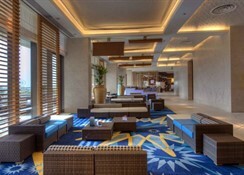 Guests also get free Wi-Fi access in rooms and common areas of the hotel. 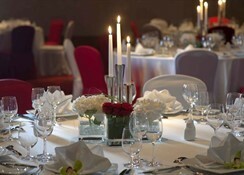 There are 3 restaurants in Crowne Plaza Abu Dhabi that serve a variety of cuisines to guests. 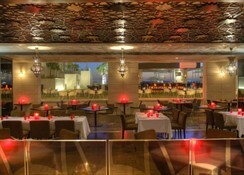 Besides, there is a lobby lounge, a sun downer and a pool bar to quench your thirst. This hotel stands along the Links Championship Golf Course of Yas Island and is close to Ferrari World, Yas Marina Circuit and Yas Kartzone. Du Arena is also fairly close while free beach shuttle service is available to the hotel guests. Dubai International Airport is about 60 minutes drive from the hotel. A 25 metre outdoor pool with sun terrace is a nice place to unwind and have some relaxing time. A separate children's pool make sure kids have a safe splash. Fitness centre, sauna and steam room help you keep fit and fresh during your holidays. The hotel has a squash court as well. For more fun and activities, there are lots of options such as golfing, Yas Waterworld and Yas Beach with lots of water sports are around. Due to unforeseen urgent maintenance work, the pool at the Crowne Plaza Abu Dhabi Yas Island will be closed from Thursday April 7th, 2018, until June 8th, 2018. They have a tentative re-opening date in the first week of June but as the case with such this will be pending the successful completion of the project. 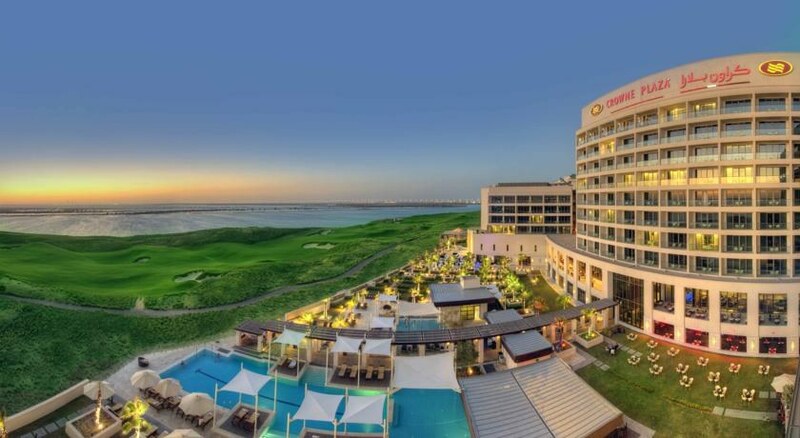 They have made the necessary arrangements and will be providing the guests with pool access at their sister property, the Staybridge Suites Abu Dhabi Yas Island during the closure of their pool which is located 100 meters away from the hotel.